This school was opened in 1961 and the students were children from military families that lived near by. Many things have changed since that time. The military presence in Whitehorse has been greatly reduced but the school still serves the students and families in the surrounding areas. In the school’s logo, the trees and mountain represent the natural features of Takhini's playground. The circle in the centre is a gold pan in which the children are "nuggets". The open book represents learning - the reason that we are all at school. This is a K to Grade 7 School serving 171 students. 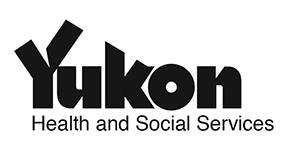 For more information about this school visit tak.yukonschools.ca. Takhini Elementary School serves breakfast to 8 to 10 students per day, lunch to 10 to 12 and twice that many students have the morning snack.